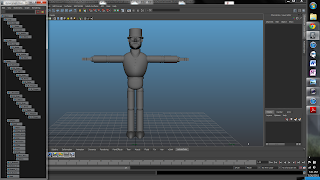 So this week we learned how to model and create basic characters in Maya. The purpose behind the assignment was to grasp and understanding of hierarchy's and the relationship between parents & children. Below is the character I created and the hierarchy associated with it. it looks great~ nice hat! Wow! Great! Drop some colors on that! Its asking for that! Ha! Thx everyone! LOL I will. It's not part of the assignment this week. Wait until you see my set. It's WAY over the top! 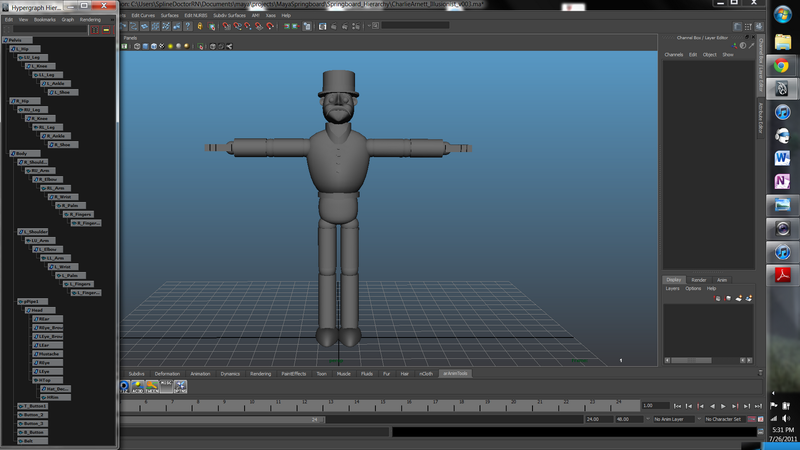 Haha he look like a clockwork robot! Great job!